His name is synonymous with high-end accessorising and the Michael Kors brand has become a go-to for on-trend handbags and classics alike. As one of the region’s leading Michael Kors stockists and with new season pieces from the accessory aficionado on our shelves now, we’re sharing the standout styles for autumn/winter. Which ones are on your wish list? The Michael Kors Sloan takes the classic quilted leather shoulder bag and updates it for the new season. A pyramid quilt and polished metal hardware toughen up the traditionally ladylike style, creating a classic that will take you from day to night and one that you’ll continue to covet once this season’s trends have been and gone. The Michael Kors Sloan Grometted shoulder bag is a lesson in doing off-duty accessorising well. Rock ‘n’ roll inspirations appear on our radar season after season and this style has the potential to amplify a simple jeans and tee outfit to rock star status. Keep the rest of your look simple, shunning anything with bold patterns or embellishment. Heeled black boots will confirm those Kate Moss vibes. 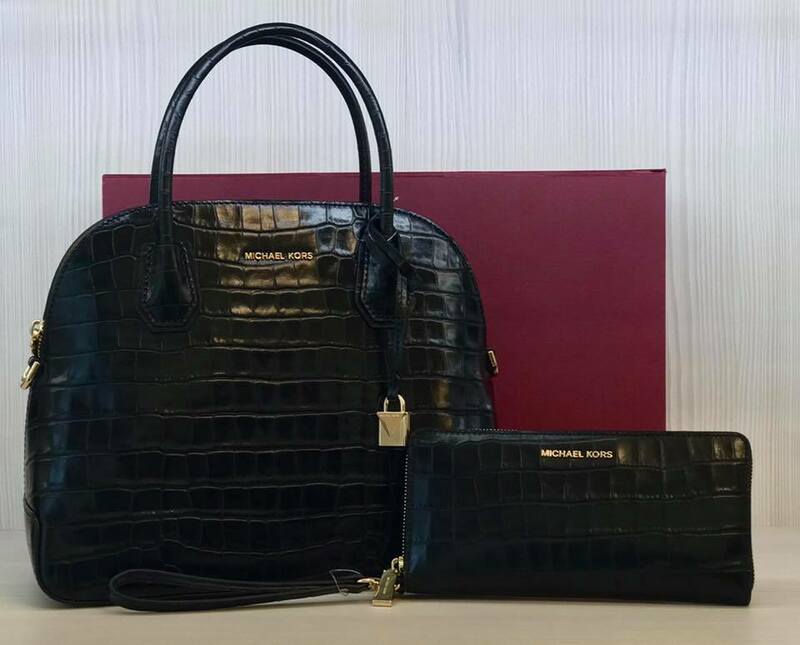 One of the most popular Michael Kors styles reimagined, the new season Mercer is made with structured crocodile-embossed leather. The traditional satchel style receives a luxe upgrade with gold hardware, plus the sleek Michael Kors signatures we’ve come to expect from one of fashion’s favourite designers. Shop new season arrivals from Michael Kors in store now at Robinsons.